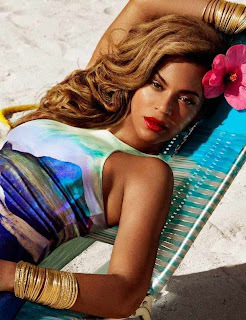 Newly released photos from Beyonce's H&M Summer Campaign are now here! In a campaign shot by Inez van Lamsweerde and Vinoodh Matadin, Bey is bikini-ready in an array of colourful swimwear and easy, breezy beach cover-ups. I am anticipating a release more campaign photos to show us more of what H&M has in store for summer wear.